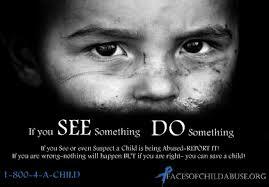 Today marks the end of Child Protection Week. What part do we play in the ‘shared responsibility’ for working to ensure the Church is a safe and secure community? We are asked to be someone whom children will turn to when in need. Justice Peter McClellan, Chair of the Royal Commission, highlighted a crucial aspect of our failure to protect children. He said it was the societal norm that ‘children should be seen but not heard’. This attitude prevailed for decades and thus some adults abused the power which their relationship with the child gave them. He said, “Although the primary responsibility for the sexual abuse of an individual lies with the abuser and the institution of which they were part, we cannot avoid the conclusion that the problems faced by many people who have been abused are the responsibility of our entire society. Be alert and be available when a child wishes to speak. Make this site known to parents and ask them to investigate how to protect their children who are now spending so much time online. Pray for all victims of child abuse, for our families supporting and protecting their children, and for teachers guiding and teaching them. Join at any time. IN YOUR FAMILY, you can pray and join the ROSARY CRUSADE supporting natural marriage. Go to RosaryCrusade.org.au. Or, just pray! Patricia Seymour, Peter Howe, Rose Chandler, Ursula Bartlett, William Phibbs, Michelle Hogan, Len Sambell, Michael Scown, Patrick Whitty, Natalie Lawrence, Shirley Ash, Kevin Seymour, Joan Sandral, Imelda Gauci, and all on our In Memoriam Board for September. NB Fr Hart – Returns 19th Sept.
9-11 Oct Ganmain Men’s Cursillo Cf. Fr Hart. Each week The Journey includes a variety of inputs including Healthy Christian Living from Trish McCarthy, Pete Gilmore encourages us to live the Gospel and Marilyn Rodriguez shares her secrets on parenting. Add to that some great music and interviews with people doing amazing things right around the globe and you’ve got a show that is all about faith, hope love and life. Tune into LIFE 101.9 FM or 98.5 THE LIGHT Albury Wodonga Sun 11am or go to www.jcr.org.au or www.itunes.jcr.org.au where you can listen anytime and subscribe to weekly shows by email.